To all those courageous men and women who have extensively trained to extinguish the the fires that threaten lives, personal property and the great outdoors, we thank you. The Fireman's Bell has three melodic tones, and is coated in a brilliant 'fire engine' red. 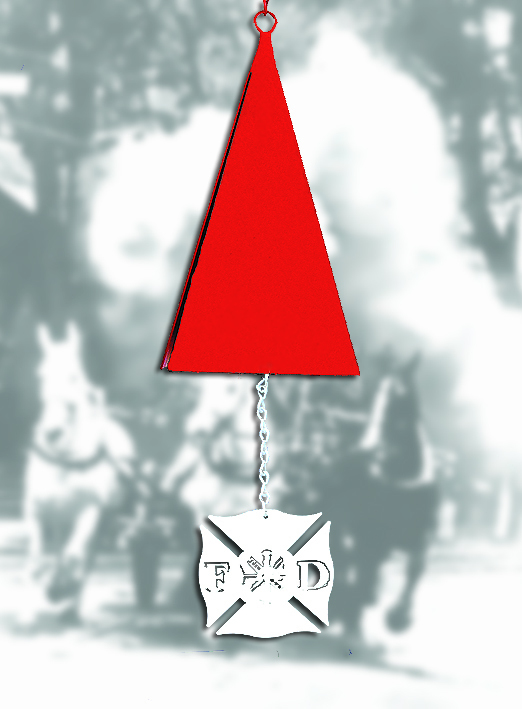 The white windcatcher depicts the determination, the endurance and the fortitude every firemand puts forth. This bell makes and excellent gift for the men and women that are the guardians of us all!